An NRC client received a field report confirming an oil leak from one of its properties—the abandoned oil pipeline into the private land parcel. The oil was leaking into the irrigation channel, situated between two rivers, Choloki and Natanebi. This was a concern due to the high risk of contamination to the rivers, reaching a newly constructed children’s’ park. Five local NRC responders were mobilized to the site, as well as response equipment such as 4×4 vehicles, sorbents, PPE, pumps, skimmers, temporary storage tanks and absorbents. The first priority was to install proper containment to prevent further migration of floating oil. The method of containment was underflow water damming system which, in case of rains, allows increased water levels to pass through the area while maintaining containment of the oily liquids. An oleophilic skimming system was used to recover the liquid oil. Collected oil was transferred to 1m3 storage tanks further transportation. To prevent potential reoccurrence of the spill, the hole in the pipeline was sealed temporarily until further engineering decisions were made from the client. After eliminating the threat of oil migration the efforts were concentrated on removing the contamination vegetation and soil by manpower and handtools. The primary reason for this type of removal was to ensure that waste types are segregated from each other and to eliminate the recovery of uncontaminated materials. After removing the vegetation, the response team began to recover contaminated soils, again, by hand operated tools to reduce the excavation of clean materials. The soil was placed in oily waste bags, properly sealed, then placed in steel drums and labelled. Absorbent materials were applied to the spill area in an effort to remove any remaining oil sheens. 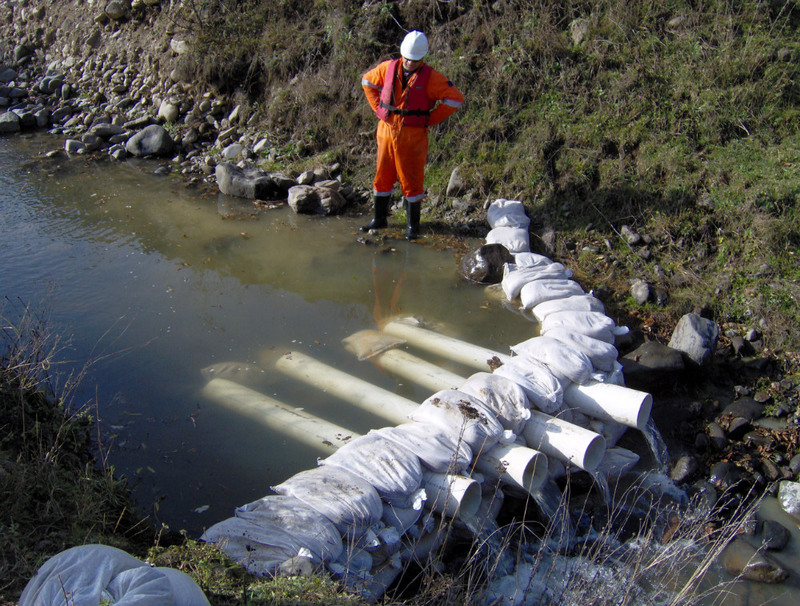 Contaminated absorbents were prepared for further disposition similar that to the contaminated soil. The clean-up was successful and took 15 days. 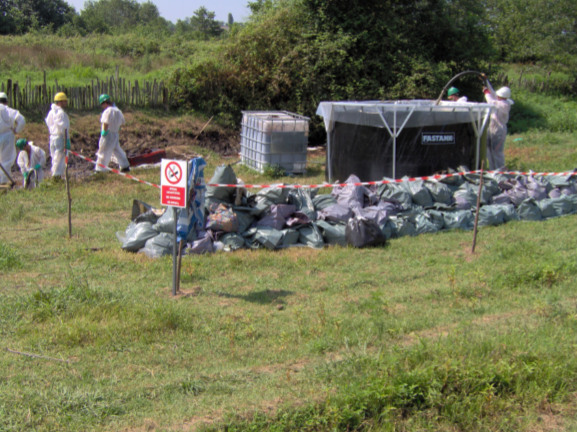 The response team cleaned the contaminated area to ensure it was back to its natural state.